Neville Isdell started his career working with a small Coca-Cola bottling plant in Zambia and retired as the CEO and chairman of The Coca-Cola Co. in 2009 after a career spanning over 40 years. 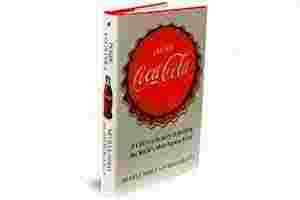 In the book Inside Coca-Cola: A CEO’s Life Story of Building the World’s Most Popular Brand, the former CEO and chairman, along with Atlanta-based writer David Beasley, talks about the ups and downs of this iconic company and brand. I was the first non-German since 1933 to head Coca-Cola in Germany, which was vying with Japan to be the largest division in the company’s international portfolio. While on a visit to the Philippines, Don Keough (former president and non-executive chairman of the Board at Coca-Cola) had offered me the new job during a meeting at the famous Manila Hotel. He wanted an outsider to shake up the business and energize a profitable but stagnant market. I was up for the challenge, even though I spoke very little German despite a one-week course I took in New York. My new job came with the title of Division President of Central Europe, with Switzerland and Austria also part of my territory. It was a tumultuous year for Coca-Cola, which had in a bold move introduced a new, sweeter formula, New Coke, in the spring of 1985. Consumer backlash was palpable, as I discovered while in Atlanta for my orientation on Germany. Checking in on a flight from Atlanta to Savannah for a meeting on bottler restructuring, an airline attendant saw the Coca-Cola tag on my luggage and promptly said, “I hate you. You took my Coca-Cola away. You’ve ruined my life." You could feel the tension at headquarters, which was fielding similar complaints, even from bottlers who said they were ostracized at their hometown country clubs. The Coke leadership called in executives from all over the world, telling everyone in no uncertain terms to stay on message during the controversy and not to criticize New Coke. Germany had been scheduled to be next behind the US to launch New Coke but it became clear in my first meeting with the German bottlers that they wanted no part of it. I then discovered that we were about to launch Cherry Coke in Germany so I requested headquarters to delay New Coke, arguing that there wasn’t anything wrong with New Coke (wink, wink), but that handling two launches at once would be too difficult. I was buying time and it worked. New Coke had been one of the most heavily researched products of all time, and while many consumers liked the taste, the studies never detected the impact of killing the old formula, which over decades had developed an extremely strong and nostalgic following. As Keough later said, the original formula reminded many consumers of their youth, and Coke was taking that away. In fact, some believed the New Coke fiasco was a clever marketing trick since sales actually increased as lapsed users rediscovered their favourite brand. Keough has always captured the truth when he said, “We are not that dumb and we are not that smart." It was a great lesson on market research. You have to be sure you’re asking the right questions in the right way in the right context. No one researched what the reaction would be if the result of New Coke was taking the old formula away. It was also a much deeper lesson: The brand belongs to the consumer. While the formula was under lock and key, what it stood for was locked into the minds of consumers. The brand was bigger than the company. Many years of history had unequivocally defined the brand to its loyal consumers and even to its lapsed consumers. The old formula, renamed “Classic Coke", was resurrected after ten weeks and New Coke gradually faded away, sparing me from facing that controversy in Germany.